Another West End restaurant tour is happening tonight! This week the featured restaurants will be serving dishes inspired by the finest restaurants in Paris, the streets of Cambodia and Vietnam, and the unique spices of India. While it’s too late to sign up for tonight’s tour, you can always stop by these West End gems on your own. We’re still taking bookings for restaurant tours taking place throughout the summer, and you can also find a full listing of our restaurant tours by clicking here. Using only the freshest quality ingredients, Pho Kim Tuong takes you on a culinary tour of Asia. 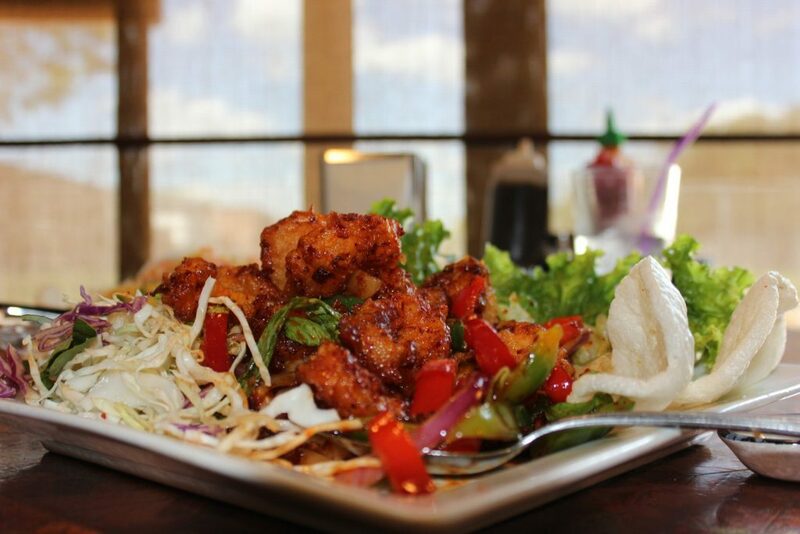 From their sweet mango salad, to their crispy fried shrimp, there’s something for everyone to enjoy. Opening in the West End just eight years ago, Pho Kim Tuong has taken West End Asian cuisine to a whole new level with their friendly customer service and creative dishes. 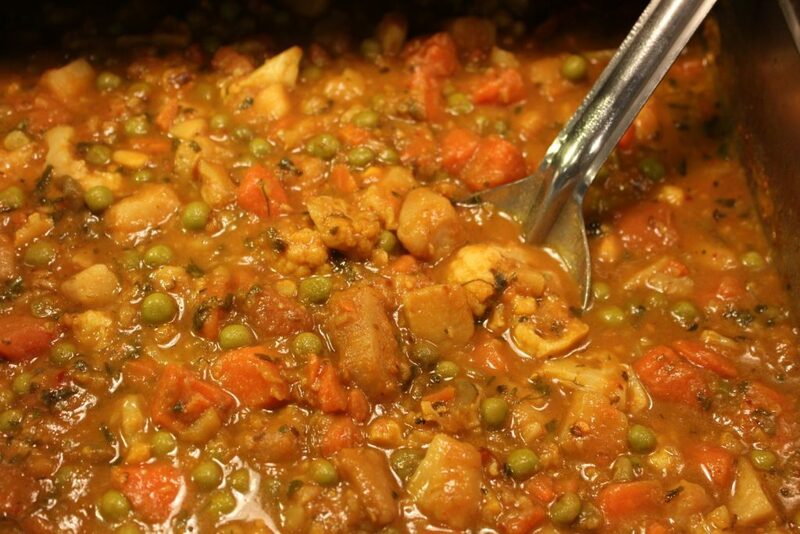 Indian cuisine offers some of the world’s most flavourful, rich and spicy dishes. From delectable mixed vegetables, curries and butter chicken to naan and other Indian delicacies, there’s something for every palate. With it’s warm and welcoming atmosphere, it’s no wonder that India Palace has found its way into the hearts of West Enders and Winnipeggers alike! Try French cuisine with a slight twist at Café Ce Soir. Rated one of the top French restaurants in Winnipeg, Café Ce Soir takes your taste buds on a trip through Paris as you try everything from their luxurious steak tartare to their famous salad Niçoise. Sautéd wild fiddleheads in lemon garlic butter with sweet potatoes and eggplant gnocchi, shrimps and Parmesan cheese. The tour wraps up with dessert from Jonnies Sticky buns and you will no doubt agree, Jonnies has some nice buns (cinnamon buns that is)! 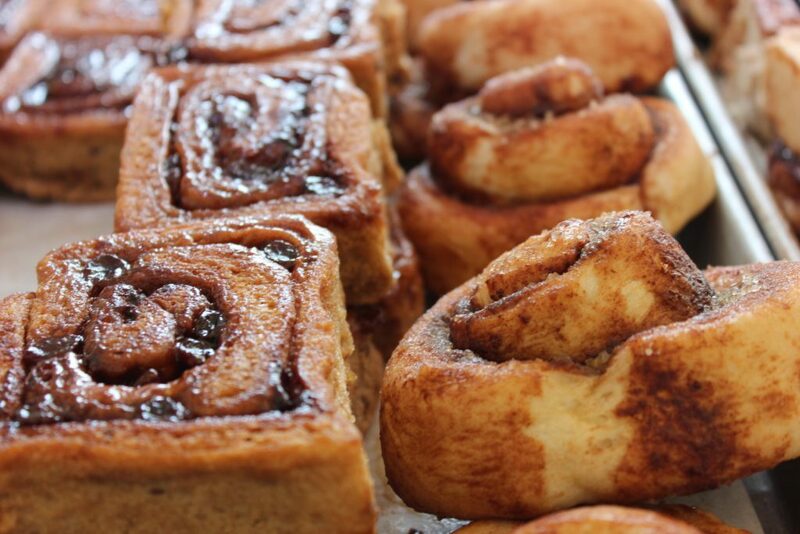 Located at 941 Portage Avnenue, Jonnie’s Sticky Buns is a timeless (and quaint) experience that’s complete with sublime aromas of Saigon cinnamon, the homey smell of butter and of course amazing sticky buns! If this all sounds just too appealing to pass up, check out our restaurant tour schedule and hop on a tour for yourself!